It was so many decades ago that there were approximately 2.5 billion people on the planet, and of that number, approximately 152 million lived in the United States. Citizens of the U.S. expected a strong power supply to keep their refrigerators cold, their air conditioners humming and their radios and TVs going. The power infrastructure was expected to accommodate the constant ebb and flow of energy consumers on-again, off-again mindset, and the power companies understood that they had to move quickly to fulfill that demand as well as grow to meet the coming demand. Since then, the U.S. population has grown to approximately 320 million, and the amount of electricity use has also grown greatly even as a plethora of companies have and continue to conceive and improve consumer goods requiring electricity. In 2013, American energy consumption was measured to have been more than 13 times greater than what was used in 1950. The power grid has grown as well, and while it sometimes has some hiccups, the huge consumer and commercial use it maintains is constantly being improved. The amount of electricity consumption in the U.S. will give one a jolt: in 2014 alone, about 3.8 billion kilowatt hours were used to power American residential, commercial, industrial and transportation. The load this puts on power companies is significant, of course, and 36% of the use was consumed by residential use. As such, this is where much of the advancement in power use, savings and measurement may be found. Within the residential use of electricity, power companies have determined that most of that use is for heating, lighting and air conditioning. Nearly as much as those three are refrigeration and some appliances (such as TVs and other entertainment equipment) account for a significant amount of the electricity consumed. It has also been determined that somewhere around 40% of the electricity goes to laundry appliances (primarily clothes washers and dryers) as well as computers and computer peripherals. Nevertheless, advancements in appliances’ use of power continues to be a focus. These days, the average American refrigerator is 20% larger but costs 60% less than those sold in 1975, and it uses about three-quarters less energy. In the commercial sector, the single biggest use of electricity is for lighting. This amount of lighting covered is so vast as to seem invisible to us until we think about how our world would be if lighting were cut off. Street lights, parking lots, the bright exterior lights on buildings and the significant amount of lighting required to keep stores, offices and parks well-lit. Even small, seemingly little-used spaces require constant lighting: elevators, closets, walk-in freezers, dressing rooms, stairwells, underground parking lots and bathrooms are all examples of places that we each use but a few minutes of the day but because of safety reasons require near-constant and bright lighting. In time, alternative electricity for your business will be a big part of the typical business plan. Despite the great use of power in America, it is not constantly being increased in large amounts. Improvements in the efficiency of appliances, economic downturns and consumers’ careful use of energy consumption has contributed to a slight decline of power between 2008 and 2014. Smart meters are one aspect that helps power companies to understand when consumers’ power demands are at the highest, lowest and between the two. Approximately 50 million smart meters have been installed in U.S. homes, a figure which represents perhaps 43% of American homes overall. Smart meters also cut down on the energy required to read meters, which is significant when one thinks of the fuel, manpower and vehicle maintenance needed for power companies to get this done. Alternative power companies have entered the field over the last few decades and continue to improve market share as well as contribute to energy savings via green energy appliances, programmable thermostats, housing improvements and smart meters. There will also be newer and more easily acquired alternative energy sources that will allow consumers to choose energy sources that best fit their lifestyles. What are the top three expenses in your home? If one of them is electricity, then you may be paying too much! The deregulation of electricity markets has caused prices for electricity and energy usage to rise in the last several years, which can lead to unnecessary spending on your part. The average energy bill per household is still approximately $107, which is a bit steep. So if you're looking for ways to save on your next energy bill, here are a few easy and convenient ways to keep that hard earned cash in your pocket. That's right, doing something as simple as turning off the lights when you're not in a room can save you money! Power companies may generate the electricity you use, but in the end, you're the one paying for it. If you don't need a light on in the house, then leave the light off! Using the sun coming into your house during the day also provides a more natural lighting and allows you to soak up a little bit of the vitamin D! If you get cold easily, make sure to throw on an extra pair of socks, because keeping your thermostat at a consistently low temperature can save you some cash! In fact, you can save an estimated 10% on your bills by using a programmable thermostat in your home. Don't let energy companies get the best of you! Besides, wouldn't you rather invest in some quality sweaters than another $50 on your heating bill? Do you really need to blast the AC? One of the largest uses of electricity is your AC unit. Annually, AC accounts for approximately 19% of residential electricity use, and that's just in the United States! Keeping your thermostat a little bit higher can save you a lot of money! In addition, by turning your AC off for a little while, you can let those cool summer breezes drift through your home. Fresh air never hurt anyone, especially not those energy suppliers. The deregulation of electricity markets has provided opportunities for you to look into alternative electricity companies. But whatever provider you choose, you should always choose to save your money! We always hear about saving the planet and 'going green' and all of those catch phrases that should inspire us to be more careful with the world around us. Recycling is a fantastic way to keep our planet green but it is not the only way that we can be environmentally friendly; renewable energy is also a major source of environmentally friendly elements that can make a real difference to the earth. Let me explain a little bit about what it's all about. This is electricity that is generated from natural and renewable sources. Renewable energy sources are sometimes known as "green energy sources" because of the relatively small effects it has on the environment compared to fossil fuels. A few examples of renewable energy are solar energy, hydroelectricity and wind energy. These are great alternative energy sources for your home and business. Why is renewable energy better? Renewable energy companies take the renewable energy and reduce the carbon dioxide that is released into the atmosphere. Reducing what is known as the carbon footprint can also reduce climate change. If we use these green energy sources we can lessen the amount of fossil fuel gas and oil reserves that we use. How much does a renewable energy cost for me to use? According to several power companies, if you want to use renewable energy in your home or work, green energy can cut in a little more to your monthly budget. However, this additional money is used towards environmental projects in the production of the renewable energy. If you look around you should be able to find an option that works best for you. 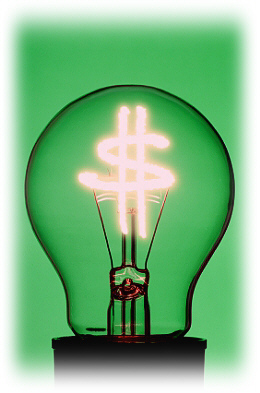 Remember, the amount of energy you can save may make up for any additional green energy costs. How can I find renewable energy companies? Renewable energy companies, also known as alternative energy companies, can be found throughout the country. You can try searching for renewable energy companies that service your area from your favorite search engine. What are all the renewable energy sources? Solar energy can be broken down to either electricity or water heating. The electricity portion uses photovoltaic cells and makes for nubile electricity from the sunlight. Solar water heating comes from dark panels that would be installed on the roof to absorb the solar energy and turn it into heat. Wind turbines are powered by the wind and generate renewable energy in the wind farms. If you want to generate your own energy it is possible to install a small wind turbine on your property. This kind comes from the power that can come from rivers and the sea. Power plants can dam rivers and put barriers in the sea to capture the power. This one is a little bit controversial as some people believe it is bad for the environment. Heat is used from the earth's core in order to make electricity or heat. Volcanic areas are ideal for producing this type of energy because the heat from the earth's core is the closest to the surface. Using bio diesel could burn less fossil feels even though it does take up a lot of land. Bio diesel is made from natural oils but before it can be used in cars it is mixed with normal diesel fuel. This is the organic matters like crops, manure and even wood. Overall, renewable energy sources can help reduce our carbon footprint to protect the environment. Taking part in being environmentally friendly can save the planet not just for us and our children but so our children's children can have a nice, loved and functioning place to live for many more years to come.